Why Do I Snore So Bad and What Can I Do About It? Do you snore? If yes, you’re certainly not alone. Up to 50 percent of all adults snore occasionally. Even if you won’t admit it, you’ve probably snored from time to time. It might be the kind of massive thundering that keeps anyone within your postcode awake or shakes the walls. Or it might be nothing more than a slight purr. You’re probably asking yourself, “why do I snore?” Well, snoring occurs when air flows through the throat when we breathe in our sleep. This makes the relaxed tissues in the throat vibrate, causing harsh, annoying snoring sounds. Snoring can interrupt you or your partner’s sleep. Even if it’s not troubling you too much, you shouldn’t ignore it. In fact, snoring might indicate a serious health problem, such as obesity, blocked airways (obstructive sleep apnea), sleep deprivation, and a problem with your mouth, throat, or nose structure. In other cases, taking alcohol so close to bedtime or sleeping on your back may cause snoring. In this post, we’ll take a look at the causes of snoring and what you can do to stop snoring. There are lots of reasons why you might snore. There isn’t one diagnosis or treatment program for snoring. The following factors may increase your risk for snoring. As we grow older, we change our sleeping habits. Some people may take longer to drift off and may not find the rest as recuperative as it was before. Aging also affects snoring, partly because the tongue and throat muscles tend to relax a lot more during sleep. This causes vibration while you breathe, which causes snoring. Certain nose and throat conditions can cause snoring. This can include nasal polyps (soft growths on the insides of sinuses), deviated septum (when the wall dividing the nostrils moves to one side), and adenoids or enlarged tonsils. A nasty cold or seasonal allergy can also lead to snoring. If you find that you snore more when sleeping on your back than when lying on your side or stomach, then you’ve got “side dependent” snoring. Fortunately, you can practice resting on your belly or side, which may decrease the chances of snoring. Moderate drinking before bedtime was once recommended for a good night’s sleep, but it’s now evident that a nightcap can disrupt your sleep and contribute to snoring. Alcohol is a powerful relaxant, which makes areas around your airway and throat slacken during sleep. This causes vibration as you breathe. Similarly, taking a muscle relaxant before bedtime may lead to more snoring. Men snore more than women because they’ve got narrower air passages. A narrow throat, enlarged adenoids, cleft palate, and other physical traits that lead to snoring are usually hereditary. While you can’t do anything about your gender or build, the right bedtime routines, lifestyle changes, and throat exercises can help you manage your snoring. Being overweight can contribute to many health conditions, including snoring. It weakens muscle tone and enlarges the tissue around the throat and neck, two causes of snoring. If one of your family members has sleep apnea, you might be at a greater risk for it, too. Seasonal allergies and infections may cause throat inflammation, which can result in snoring. Waking up lots of times a night disrupts the regular pattern of sleep, increasing the time spent in light snooze than in deeper, more restorative sleep. These last a few seconds or minutes during sleep and are caused by total or partial obstruction of the airway. This causes drowsiness in the daytime and may affect the quality of your life and raise your risk for motor vehicle accidents. This may happen even if you may not notice it. Prolonged suffering due to sleep apnea often increases blood pressure and can enlarge the heart, increasing the risk of stroke and heart attack. There are lots of odd anti-snoring devices out there, with more being made daily. Unfortunately, many of the devices aren’t research-backed, or simply keep you awake when you’re supposed to be sleeping. 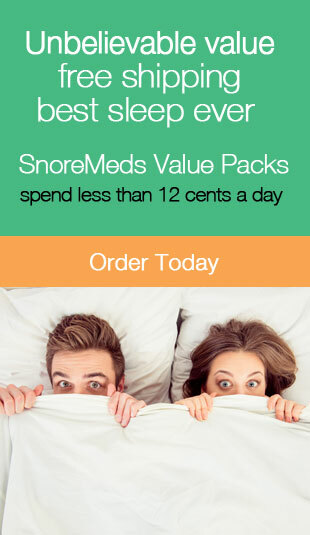 This makes finding the right remedy for snoring look like a daunting task. However, there are lots of proven strategies that can help you stop snoring. Of course, not every solution is right for everyone, so eliminating your snoring might require lifestyle changes, patience, and a willingness to try out different solutions. Shedding even a few pounds can decrease fatty tissue at the back of your throat. This can reduce or even put a stop to snoring. You’re more likely to snore if you smoke. Smoking irritates the nose and throat membranes, which can obstruct the airways and lead to snoring. Of course, it’s difficult to stop smoking but doing so can quickly relieve your snoring. These things relax the throat muscles and disrupt breathing. Also consult your healthcare provider about any prescription drugs you’re taking, since some induce deeper sleep, which can worsen snoring. Eating large meals or foods like soy or dairy milk right before you go to sleep can worsen your snoring. Even if it doesn’t cause weight loss, exercise can generally decrease snoring. That’s because toning various muscles in the body, like those in the legs, arms, and abs results in toned throat muscles. This can help reduce snoring. Adults should get a least 7 hours of sleep each night. For children, their ideal hours of sleep vary with age. Pre-school age kids should have 10-13 hours of sleep per night. School-age kids need 9-12 hours of sleep a night while teenagers should sleep 8-10 hours each night. Create a strong sleep hygiene plan by getting regular sleep in a cool, dark room, on a comfortable bed. Sleep deprivation has been shown to cause weight gain and may cause snoring. Lifting your head four inches can make breathing easier and help your jaw and tongue move forward. You can also use specially designed pillows to prevent snoring by ensuring that your neck muscles aren’t folded. Resting on your back can make your tongue shift to the back of your throat, partly blocking airflow via your throat. To let the air flow easily and decrease or stop snoring, all you may need to do is sleep on your side. This appliance, which looks like a sportsperson’s mouth guard, helps open up your airway by pushing your tongue or lower jaw forward during sleep. Although a dentist-made device can be costly, there are cheaper DIY kits available as well. If you’ve got a blocked nose, rinse the sinuses with some saline before you go to sleep. Using nasal strips, a nasal decongestant or a neti pot can also make breathing easier while you sleep. If you suffer from allergies, take an allergy medication or remove pet dander and dust mites from your bedroom. These are nasal dilators that increase airflow via the nasal passages. Like earbuds, they come in various sizes and are usually made of silicone. If you snore and have allergies, an air purifier with a HEPA filter can decrease the dust mites, allergens, and other things in your home that might be behind your nasal congestion. Dry air may irritate nose and throat membranes, so a humidifier can help if you have swollen nasal tissues. Allergies can decrease airflow through the nose, forcing you to breathe via your mouth. This makes you more likely to snore. Ask your doctor what kind of prescription or over-the-counter allergy medicines may relieve your problem. How Can I Stop Snoring with Medical Treatment? If you’ve tried lifestyle remedies for snoring with no success, don’t lose hope. There are various medical solutions that can make a difference. New innovations in snoring treatment are being made daily and devices are getting more comfortable and effective. Consult your primary healthcare provider or ENT specialist. Even if they suggest something that didn’t work in the past or was uncomfortable, that doesn’t mean it’ll be the same case now. Intranasal decongestants, like Oxymetazoline (Zicam), as well as intranasal steroid sprays, like Fluticasone (Cutivate), may help relieve snoring. This is particularly true if a cold or allergies are the reason for your snoring. For people with severe or moderate sleep apnea, treatment involves pressurized air delivered through a face or nasal mask. This fixes an irregular nasal septum. This removes enlarged adenoids and tonsils. A doctor stiffens loose tissue by placing small plastic implants inside the soft palate. This procedure applies radiofrequency energy to the bottom of the tongue to strengthen the flabby tissue. A surgeon uses a laser to shorten the hanging soft tissue in the back of the throat, also known as the uvula. The laser makes little cuts in the soft palate, as well. While the cuts heal, the tissues nearby stiffen to stop the vibrations that cause snoring. This gets rid of extra tissue from the uvula and soft palate. Surgery comes with potential health risks and has a low rate of success, so you should only consider it as a last resort. If you share a bed with a snorer, urge them to consult a sleep expert about potential sleep apnea or use some anti-snoring products. But even with treatment, your partner’s snoring may not go away completely. So don’t lose it-get back to bed instead! Buy a white noise smartphone app or machine. White noise apps are becoming more popular as they don’t take up much space and include other kinds of sound libraries like ambient music and nature sounds. White noise machines produce a static white noise background, which is quite effective at blocking out other noise. Use earplugs. They help decrease noise and are available in various sizes. So, you can always find a perfect fit for you. Get a bigger mattress. Sleeping in different bedrooms or beds will negatively affect both your wallets and intimacy. Instead, buying a bigger mattress may be a cheaper option that’ll allow you and your partner to keep your physical closeness. Besides, having a large, comfortable mattress helps you fall asleep more easily as well. Try scheduling your bedtimes so that the snorer goes to sleep after the non-snorer. If you’ve already drifted off before your partner starts snoring, you’re less likely to be woken up. Try relaxation exercises and meditation. Insomniacs usually rely on relaxation exercises, breathing techniques, and meditation to help them nod off at night. These can help you go to sleep despite your spouse’s snoring, or calm you down so you can get back to sleep if you’re woken up by their snoring. You Can Stop Snoring Now! Snoring can interfere with you and your partner’s sleep. But in addition to being an irritation, it could be a sign of something serious. Trying at least one of the above remedies or seeing your doctor can help you manage your sleep and find the answer to “Why do I snore?” To stop snoring and find relief, be sure to read our helpful blog posts on how to stop snoring. Say no to snoring today! As usual, we hope that you found this article both entertaining and informative. If so, we would ask that you share this article with friends and family though your social media accounts. It really helps us out and is greatly appreciated! Tags: GeneticsHealth Risks Related to Snoringhow to stop snoringNose and Throat Issuessnoring spouseUse an Anti-snoring Mouth DeviceWhy Do I Snore So Bad and What Can I Do About It? Both obesity and sleep apnea are serious conditions which have an adverse effect on your health. But are the two conditions related and does one make the other worse?